This past year was one of the most hotly anticipated years in the capital markets. This was largely due to the desires of the deal making community to move on from to the prior year period, one of the worst on record for M&A and financing deal velocity, fundraising by institutional equity funds, and mezzanine debt rates. As we reflect on 2010, it is easy to point to the positives — the U.S. economy found stability and returned to growth, consumer confidence strengthened, the domestic banking system experienced renewal, transaction volumes ticked-up, and institutional fundraising resumed. However, all gains were modest, at best, and the system remains vulnerable; fear is lingering and optimism is subdued. 1) Macro Market Malaise – With the stock market rising in 2010, retail investor confidence has been buoyed. The performance of the public markets indicates an upswing in deal activity. In 2011, Pacific Northwest market leaders will grow earnings through exposure to foreign economies, but gains will be offset by rising interest rates, an increase in the target inflation rate by the Federal Reserve, and continued worries about unemployment. However, the risk of a double dip recession has dissipated. 2) Strength Locally – We expect the Pacific Northwest to outpace other domestic regional economies due to its exposure to high growth industries including food and beverage (especially the natural and organic products sub-segment), health care services, technology enabled business services, and the pet industry. Further, business conditions within the region are favorable and we find the fundamentals of most local middle market businesses to be sound. The lack of in-region leveraged buyout activity during the recent boom has left the lower middle market relatively untouched when compared to the broader domestic economy. Finally, British Columbia will benefit from strength in the local lending market. 3) An M&A Revival – M&A deal activity will visibly pick up in 2011. While the market will favor larger deals in consolidating industries, acceleration will be broad based. A continued cash overhang, increased debt market activity, and a recalibration of seller expectations will drive deal volume. While we anticipate a reasonable amount of sale activity within the region, we expect Pacific Northwest companies to be more active as buyers given their strong balance sheets and a lack of competition from private equity for smaller assets. Further we expect Canadian cross-boarder activity into Washington and Oregon to continue to accelerate as companies from British Columbia seek a broader footprint within the region. 4) Junior Debt Gets its Due – Mezzanine debt placements have not accelerated at the expected pace. The cost of subordinated debt remained too high through the first half of the year to make it an attractive standalone alternative for lower middle market businesses. Further, buyout activity was muted, which limited the need for “last mile” debt financing for private equity transactions. However, the price of mezzanine debt collapsed in 3Q2010, with total costs falling from 20% – 25% to 12% – 15%. Coupled with renewed sponsor activity, we expect a record year for mezzanine debt in 2011. 5) Minority Equity Strength Continues – During the economic downturn we witnessed a growth in minority growth capital investment. Lacking strong valuations, companies were reluctant to sell their business but often times found themselves in need of funds to grow or provide liquidity to founders or departing executives. As a result, private equity investors stepped in to the void and began investing in companies on a minority basis. Given the hundreds of billions of dollars of un-invested capital within the institutional equity community, a lack of debt alternatives, and slowly recovering valuations, we expect minority equity volume to grow significantly in 2011. 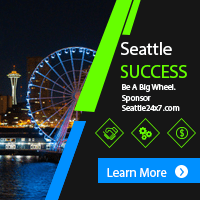 The Pacific Northwest should be a hotbed of activity in this area due to our industry alignment and abundance of emerging growth companies backed by strong management teams. Cascadia Capital is a diversified, boutique investment bank serving both private and public growth companies around the globe. Cascadia’s business is diversified in terms of the industries the firm covers – Information Technology, Sustainable Industries and Middle Market – and in terms of the range of advisory services it provides – Mergers and Acquisitions, Corporate Financing and Strategic Advising. The firm’s Middle Market Practice focuses on relationship-based investment banking services for growth-oriented private, family held and public middle market companies in the Pacific Northwest. The firm bridges access for Pacific NW based companies to the national and international capital and M&A markets, thereby expanding the opportunities and transaction alternatives. Schiller is a Managing Director at Cascadia Capital, a Seattle-based boutique investment bank, and leads the firm’s Middle Market Practice, He focuses on sourcing and executing buy-side and sell-side M&A, equity and debt private placement, and strategic advisory transactions with private and public companies in the middle market. Schiller is also a very active participant and leader in the family business segment across the Pacific Northwest, working proactively with family business leaders to facilitate various strategic initiatives. A Senior Vice President at Cascadia Capital, Jaffe helps build client relationships and serves as a senior execution resource for the Middle Market Practice. He joined Cascadia Capital from a New York based boutique, where he managed and executed complex and special situations financial advisory assignments. Jaffe is a frequent author and lecturer on corporate finance and industry topics relevant to private companies. Next articleWindows Phone 7 Now on Sale, Kinect Connects, Will RockMelt?